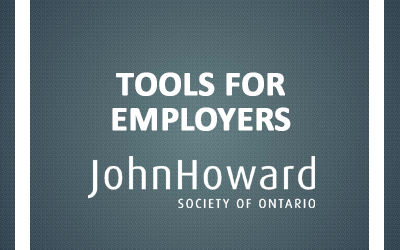 This section of the HUB provides content such as information, guides, toolkits, research and other resources for Employers, Human Resource, Volunteer Organizations and other decision makers involved in the hiring and screening of prospective applicants. Royal Canadian Mounted Police website provides information on criminal and Vulnerable Sector Checks. Overview: This report aims to examine the barriers facing youth with police records (YPRs) in Ontario, with a particular emphasis on their exclusion from the labour market. DEVELOPMENT OF THE POLICE RECORD HUB WAS SUPPORTED IN PART THROUGH A 2016 GRANT FROM THE METCALF FOUNDATION and updated in part through a 2018 grant from the New brunswick law foudnation.